Jason Li is a Hong Kong based designer and consultant. He primarily works with tech companies and startups in Asia. With An Xiao Mina he co-founded The Civic Beat, where people discuss using technology for social and political change. 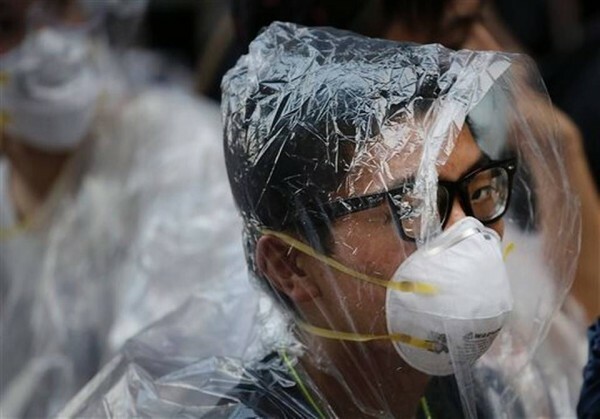 Here, he weighs in on how the #UmbrellaRevolution hashtag and Internet memes both helped and hindered the recent protest movement to emerge out of Hong Kong. 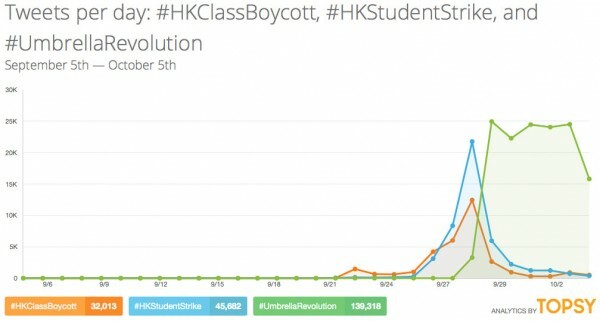 The ongoing protests for democracy in Hong Kong have been dubbed by many as the “Umbrella Revolution.” But days before the term was created, the dominant internet meme supporting the protests was built around student selfies accompanied by hashtags #HKClassBoycott and #HKStudentStrike. This was in line with what was then a students-only protest. 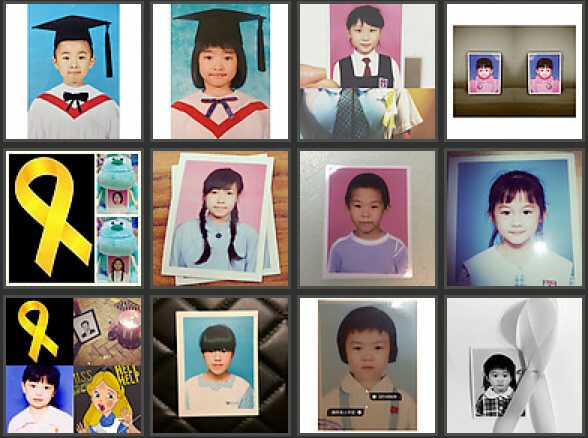 Supporters participated by finding a photo of themselves as a child, often in their student uniform, and posting a picture of it to Instagram and Facebook. Some participants chose to decorate their photos with a yellow ribbon for democracy as well. “Umbrella Revolution” only appeared in the media after local police forces unleashed a barrage of tear gas and pepper spray on protesters last Sunday. 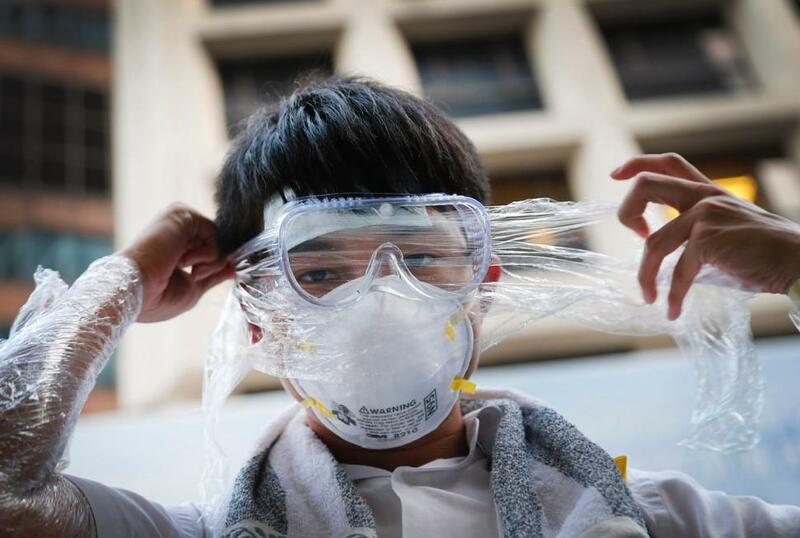 Unarmed citizens defended themselves with nothing but surgical face masks, science-class goggles and ordinary umbrellas. 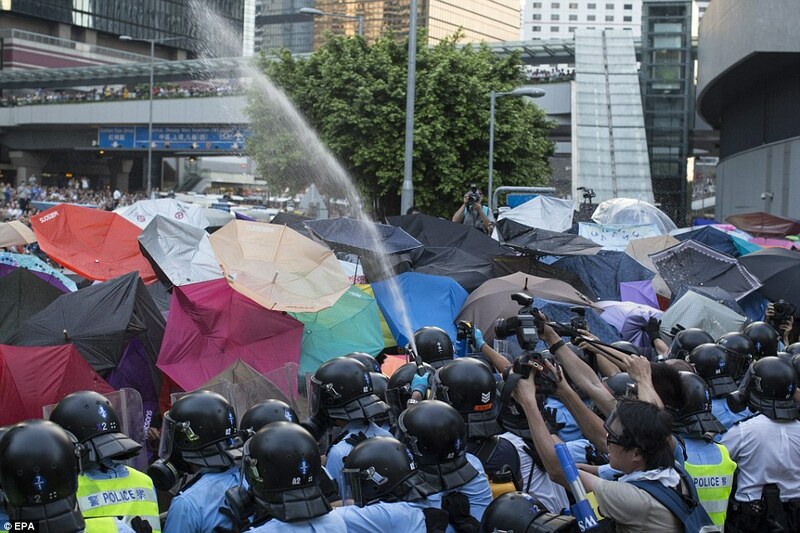 Shortly after the clash, stunning photos of protesters holding up their umbrellas amidst a sea of tear gas spread like wildfire across the internet and the term “Umbrella Revolution” was coined. 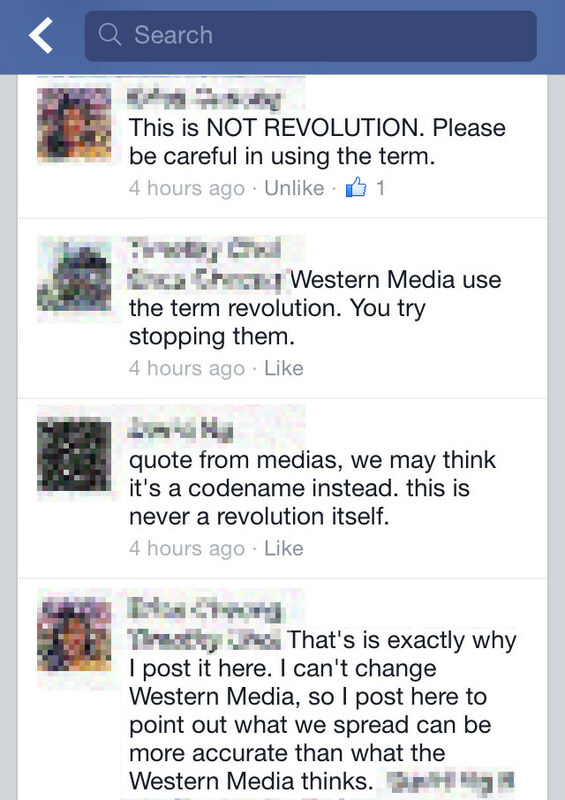 Unfortunately, the word “revolution” has extremist connotations that do not help but hinder the protest. To begin with, calling it a revolution is simply inaccurate: people are asking not for overthrow of the Hong Kong government, or of China, but for a more representative government. 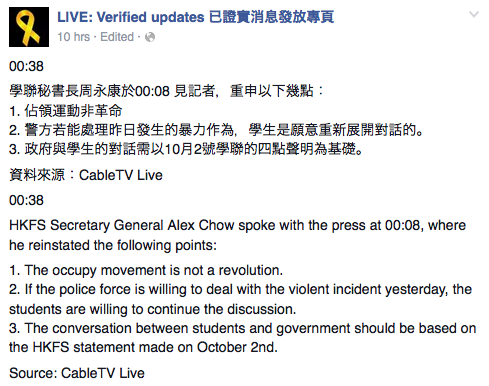 To add to that, CUHK Professor Wong Hung believes that it gives Beijing the wrong idea and encourages them to crack down on the protesters. Pro-establishment politicians Tam Yiu-chung and Robert Chow have also used the term on TV and in interviews to paint a stereotype of out-of-touch, extremist protesters. 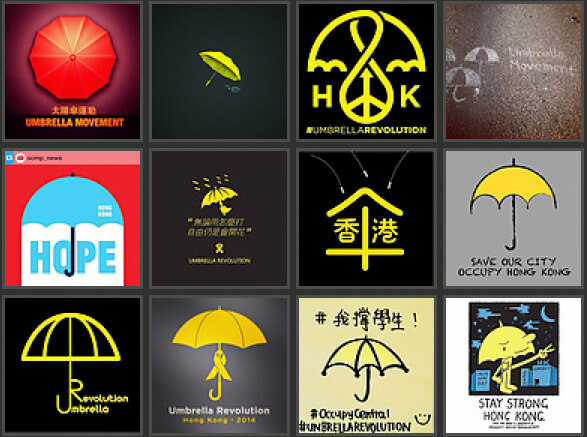 In that way, while the visual imagery of the Umbrella Revolution is uplifting for most people, its name has sparked unnecessary controversy and internet memes are to blame. 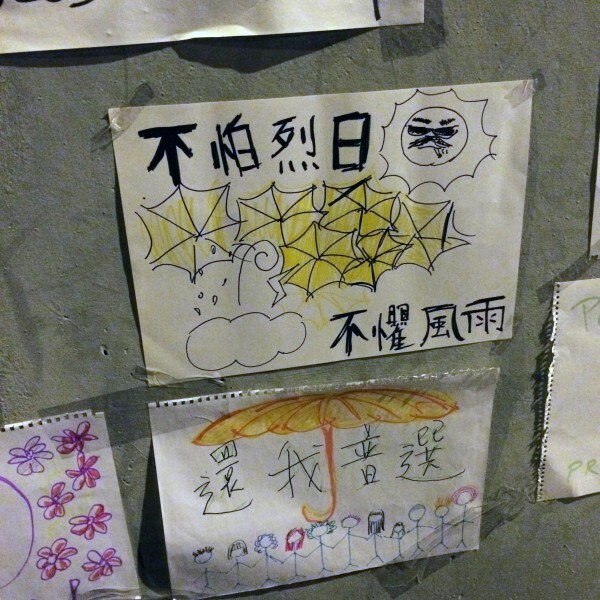 After the events of Sunday when non-students also joined the fray, the umbrella very quickly became the dominant visual. 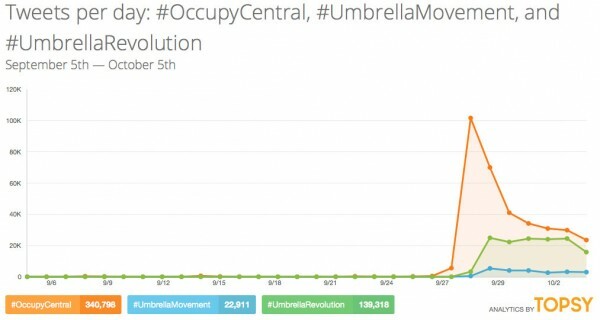 By the time I woke up Monday morning, the press, led by the BBC, had already cemented the popularity of #UmbrellaRevolution as the dominant hashtag, and the internet memes followed.
.@krislc I think the term "revolution" is intentionally used to strike fear in the heart of Beijing. 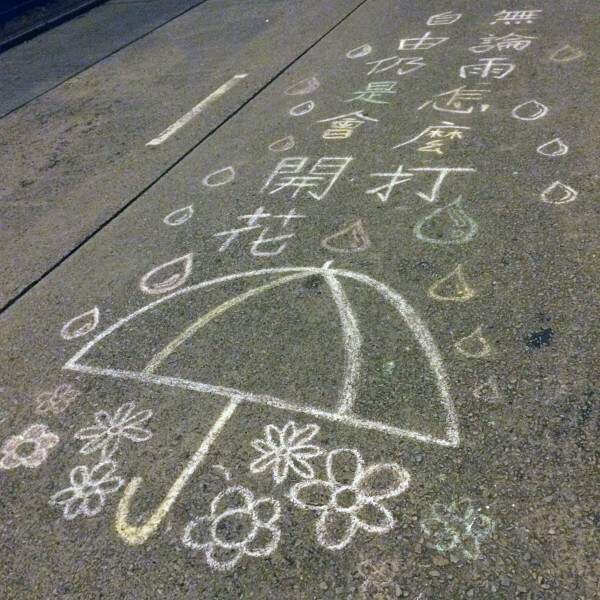 To be perfectly clear, #OccupyCentral was and remains the most popular hashtag. 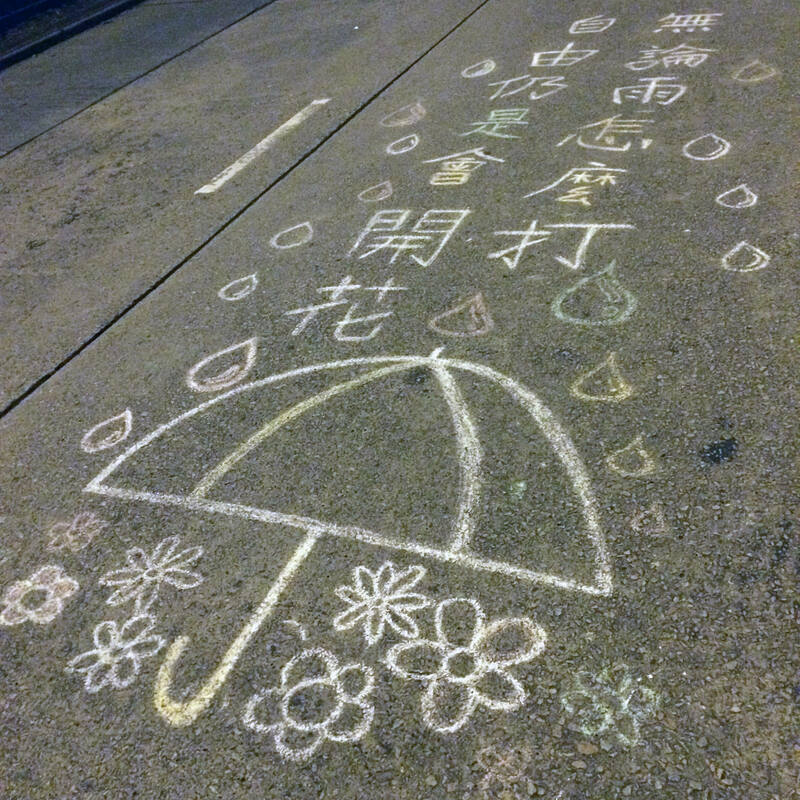 But it doesn’t lend itself to a visual treatment the way #UmbrellaRevolution did. 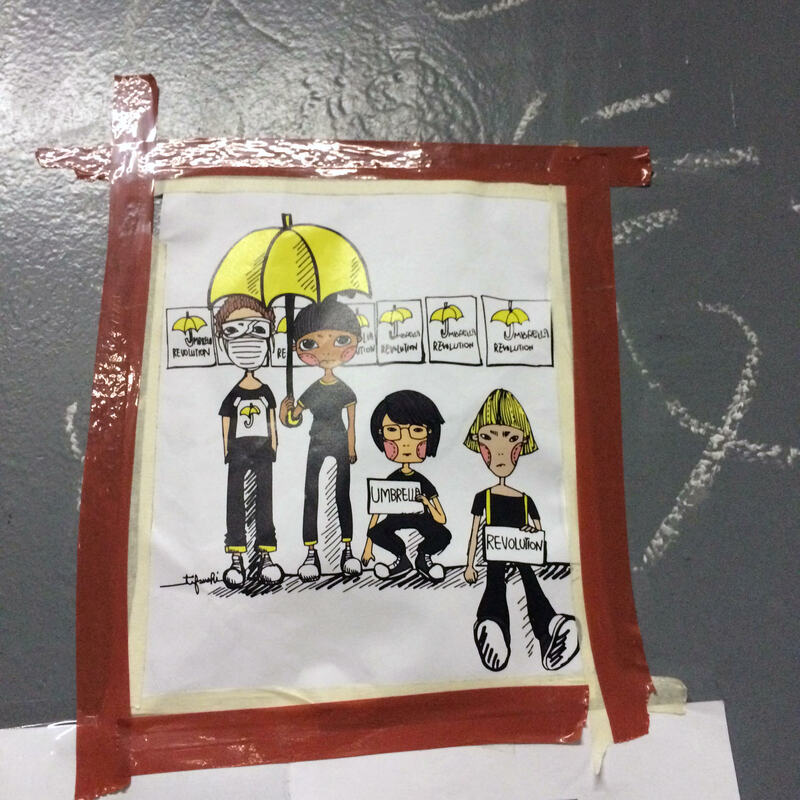 Additionally, #UmbrellaMovement itself never took off, at least in English. During the earlier part of the week, my colleagues and I at The Civic Beat collected over a hundred umbrella memes before giving up after we realized that hundreds more were to come from a widely-shared Facebook design competition, a Facebook group and at least one Tumblr devoted to the same task. My theory is that these umbrella images became so popular on the internet that they made their way into the protest itself. Most protesters were constantly on their cell phones and, despite rumors, the internet connection was never cut during the protest. So it’s easy to see how symbols and messages on the internet might have influenced what protesters thought. 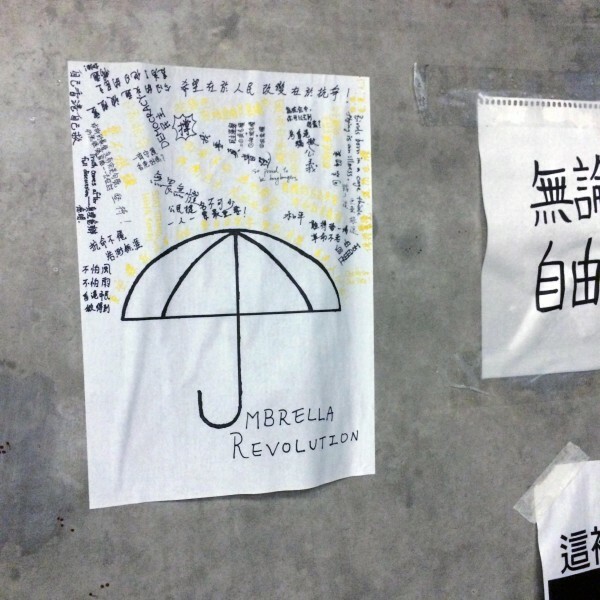 Unfortunately, the “revolution” moniker also made its way into many umbrella images, as if imposed from above. Protesters may have also noticed that the international press paid attention to the “Umbrella Revolution,” and borrowed the term to spread the word further. Internet memes and the foreign press may be at fault for coining the “revolution” moniker, but they have also been instrumental in making the movement as successful as it is now. Early on in the protests, internet memes helped build public awareness by allowing people to silently show their support by posting an image or changing their profile picture. (Many profile pictures on Facebook have become variations of the yellow ribbon for democracy.) The foreign press plays an even bigger role, in both creating avenues for public debate as well as fulfilling their role as a watchdog for malpractice. So while the internet public and foreign press have been overwhelmingly-positive influences, it’s also due time for them to reflect on the power they wield. This article originally appeared on Jason Li’s blog 88 bar on October 4th. Edited by Graham Webster and Ada.